Does ‘The Ring’ Still Hold Up As a Classic 15 Years Later? Gore Verbinski’s The Ring opened 15 years ago this week. When the American remake of Hideo Nakata’s watershed Japanese horror film hit theaters on October 18, 2002, DVDs had yet to eclipse VHS, the first cell phones with LCD screens and internet were just hitting shelves, and the latest movie rental trend was Netflix ... via the mail. That sounds like the Stone Age compared to the streaming and smartphone world of today. Considering how much The Ring was a product of its cultural moment, a movie literally about a cursed videotape and a death date delivered from a landline phone call, it should have aged as poorly as your old wood-paneled VCR. But it hasn’t. The Ring opened at an interesting transitional period, not just for technology, but for the horror genre. Following the teen slasher flicks of the ’80s and ’90s, Verbinski’s version of Ringu was the first major Japanese horror remake. As a box office success – it’s still the highest-grossing horror remake of all time – the film's influence was two-fold: It helped launch Hollywood’s J-Horror craze, and ignited a sub-genre of American horror movies about the Y2K scare. While technological paranoia had existed for decades in things like The Twilight Zone and Videodrome, The Ring was the first mainstream techno-horror film in about the perils of consumer technology. After The Ring there was the cell phone killer of 2008’s One Missed Call, the internet ghosts of 2006’s Pulse, the Chatroulette deaths of 2012’s Smiley, the IM murders of 2005’s Cry_Wolf, the haunted Skype hangouts in 2015’s Unfriended, and the demonic social media spooks of this year’s Friend Request. But there’s a reason none of those films are remembered like The Ring. For one, they weren’t as well made. More importantly, by making you afraid of the latest swag, those movies ran the risk of becoming as outdated as their digital gimmicks. 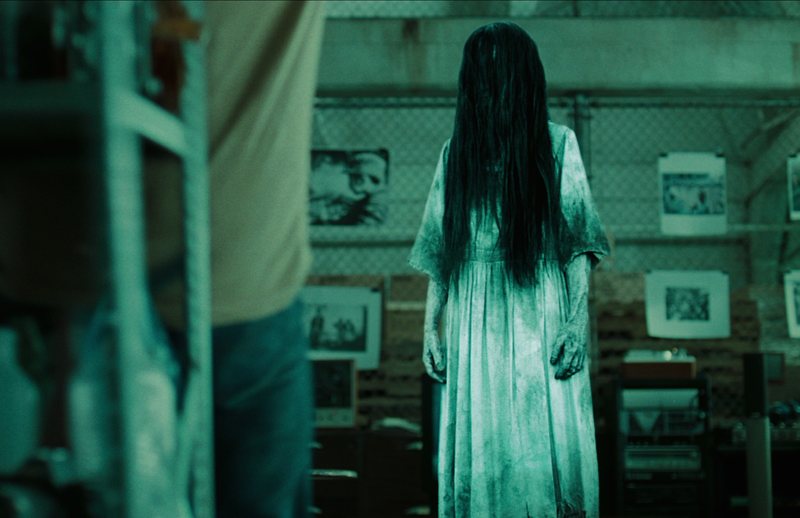 The Ring is great because it wasn’t about the evils of emerging technology – if it was, its ghost, Samara (Daveigh Chase), would’ve been haunting people on a DVD. Instead, it embedded its suspenseful storytelling into the cultural artifacts of its time. Verbinski uses the film’s since-obsolete tech – VCRs, CRT televisions, landline phones, massive desktop computers, disposable cameras, and print newspapers – to craft a great scary story, and one with as much tension as a detective thriller. Rewatching The Ring this week, I realized the remake isn’t exactly a straight horror movie, but more of a murder mystery with a tinge of the supernatural. Naomi Watts’ journalist Rachel spends the film investigating the death of her niece (Amber Tamblyn) and a bunch of teens who mysteriously died seven days after watching a videotape. Rachel digs through old newspapers, analyzes the tape, and pokes around Samara’s seaside town looking for answers like a detective digging for clues. The film is even set up like the stalker movies that came before it, and the beginning echoes the opening of Scream – a teenage girl, alone in her kitchen, gets an alarming phone call moments before her death. Though a later shot of Tamblyn’s decomposed face suggests something much more sinister than a human murderer, the movie doesn’t turn explicitly supernatural until about an hour in. Up until that point, for all we know the video is just the creation of a psychotic killer or a bad student film, as Rachel’s ex Noah (Martin Henderson) suggests. The freaky incidents Rachek experiences, like visions of Samara in the well, a nosebleed, coughing up a strand of hair, and plucking a fly from out of a monitor, could be explained by Rachel simply losing her mind. The film works so well because Verbinski convinces us, along with Rachel, that those paranormal terrors could be real. By the end, the boundary between the real and the occult snaps when Samara finally crawls out of the TV screen. The film’s lasting impression also speaks to Verbinski’s strength as a filmmaker who prioritizes atmosphere over cheap gimmicks. The Ring is peppered with disturbing imagery that keeps a sense of evil percolating in the background. Verbinski avoids showing too much too soon, obscuring Samara’s face and the method of her killing until the third act. He teases us by leaning into clichés, then swerving away from them – the opening phone call ends up being a false alarm, and multiple times the camera primes us for a the-bad-guy’s-hiding-behind-the-door spook, only to reveal no one behind it. Verbinski doesn’t rely on those typical jump scares, but uses our expectation of them to boost the tension. Along with cinematographer Bojan Bazelli, he crafts an ominous mood across The Ring using green-tinted filters, an unnerving attention to water, and nasty bits of gore – all elements used again to frightening degrees in his A Cure for Wellness. All of that, paired with Hans Zimmer’s ghostly score, is the recipe for a modern horror classic. It may be silly to fear something as antiquated as a VHS tape today, but the idea that the nightmares we see every day on our modern screens could pop out and kill us in the real world is something that resonates in 2017 more than ever. 15 years and myriads of digital innovations later, The Ring is still a chilling piece of horror filmmaking.